Nikon D3200 vs D3300 Specs Comparison, what's the difference? 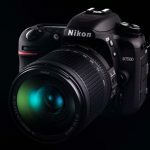 Home / Digital Camera Comparison / Nikon D3200 vs D3300 Specs Comparison, what’s the difference? Nikon D3200 vs D3300 Specs Comparison, what’s the difference? 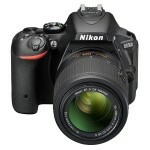 Nikon D3300 is the successor to Nikon D3200 and is the next camera in the Nikon’s line of entry level SLR cameras. Like most digital cameras upgrades, the Nikon D3300 featured only minor improvements, almost nothing worth mentioning. Of course, that does not mean that D3300 is not good. Since the D3200 already is a good entry-level SLR camera, D3300’s slight improvement makes it an even better camera. When its price stabilized, especially when the year’s products become cheaper, it will be an entry-level SLR cameras with the high quality and excellent features of today’s D3200. Overall, there were no important improvements between Nikon D3300 and D3200. D3300 is just D3200 with some small modifications. First, D3300 and D3200 use the same sensor but without the low-pass filter. This is the most important improvements for the D3300. Removal of the low-pass filter will increase the sharpness of the imaging sensor, but also increase the risk of moiré. This is a double-edged sword. The higher the pixel density, the more inclined the camera manufacturers will be to remove the low-pass filter in order to increase the benefits of high resolution in bring out sharpness. But how many people really care about these things, especially in an entry-level SLR camera? So, in my opinion, D3300 and D3200 do not have much difference in their image sensor. 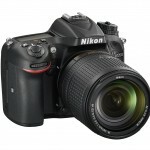 D3300 uses the latest Expeed4 processor, as opposed to Expeed3 processor D3200 used. In addition to increasing the data processing capability, the performance of the high power picture de-noising has greatly improved. The automatic white balance, color reproduction and color processing, and other functions has also improved. Another improvement is that the continuous shooting speed has been improved from 4 to 5 frames per second, which will allow shooting of sports photos with better results. Of course, 4 fps is good enough to use most of the time, but faster is better. For shooting performance, D3300’s standard sensitivity goes up to ISO 12800, and can be increased to 25600. With the Image sensor unchanged, this heightened performance could be due to improved signal processing techniques and an improved processor. Nikon D3300 is equipped with a viewfinder with up to about 0.85 times magnification along with screen coverage of approximately 95%. Framing can be based on user selection, and can visually display information and visual elements. Besides that, in regards to battery, there is significant improvement in the D3300. The utilization of a fine tuned version of EN-EL 14 battery led to the capability for D3300 to capture up to 700 pictures in contrast with D3200, which can only capture up to 540 pictures. In the video shooting, compared to D3200, D3300 adds 1080/60fps and 1080/30fps. When coupled with the new EXPEED4 image processor, it can record movies with very little noise at high sensitivity. Nikon D3200 vs. D3300, Which one to buy? In my opinion, D3300’s most attractive feature is its lens. Nikon released the 18-55mm VR II lens along with the D3300, which is an upgrade compared to the old lens released in 2007. As we can tell from the MTF chart, the image quality is slightly better than the old section of the lens, which may be because of optics optimization by Nikon due to the 24 million pixels. The more important change is the appearance of the lens. 18-55mm VR II lens uses a scalable design which reduced its volume to 30% of the old lens and has a lighter weight. This seems very much in line with D3300’s style. To obtain a more portable camera along with a better lens seems to be the reason attracting users to the D3300. There is no doubt that D3300 is an excellent entry level DSLR. Judging from the quality of pictures, it is outstanding, on par with the D7100 that is twice the price of D3300. Even though it looked awkward when compared with a normal camera, the D3300 is considered a good personal DSLR due to its compact nature and portability. However, despite being a good camera, the D3300 is not better than the D3200. Therefore, the D3300 is given the nod if one were to look at it at face value through simple evaluation; it does not emerge as the better choice when placed in direct comparison with the D3200. It is unbelievable that Nikon did not outfit the D3300 with a built in Wi-Fi and GPS. While I believe that in the future data transmission over Wi-Fi will be very important, at present such wireless transmission is still rather inadequate. While the camera manufacturers are still at the learning stages of transferring pictures over Wi-Fi, let us first make good use of NFC that is available. Naturally you can choose to purchase add on such as WU-la to serve the purpose of wireless sharing and transmission. D3300 is not a massive upgrade. Although Nikon eliminates the optical low pass filter, speeds up the continuous shooting speed, enhance the capability for video shooting to achieve 1080/60 P, it is all within my prediction. The new lens kit is a nice surprise, other than that, there’s nothing more. If there’s only the D3300 offered in the market for entry level DSLR, you have nothing to complain about because the capability of this camera far exceeds the requirements of a novice. The question is, how long will D3200 remain on the shelf? The significant better price tag of the D3200 does not justify the action of abandoning the older model in exchange for the new D3300. Naturally, if you are not sensitive to pricing and value the new features of D3300, it will be the perfect choice for you. In regards to the low pass filter. If, like me, you plan to be using your camera for astrophotography than the removal of the low pass filter the the most important improvement over the D3200. Of course you may also want to open her up and remove the IR cut filter in front of the CMOS however this is pretty advance and users should only consider this knowing that the camera warranty will be void and you will need a IR block filter to take normal photos. In any event the removal of the low pass filter is already a improvement and great astro photos can be taken with the D3300. Nikon D5300 vs Nikon D7000 comparison, What’s the Difference? 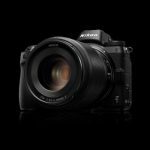 Nikon D7500 – The new 4k video recording camera by Nikon. Nikon D7100 vs D7200, what’s the difference? Nikon Z6 vs. Z7: what’s the difference? Nikon D5300 vs D5500 vs D3300, what’s the difference?